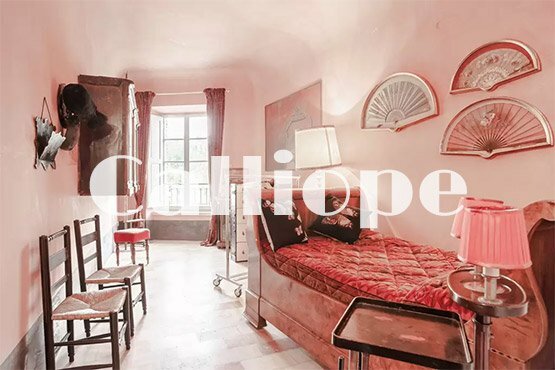 Your stay at Palazzo Santinelli ensures you have a genuinely thrilling experience in a unique, original and, in other words, EPIC location: it is the residence where Giuseppe Garibaldi took refuge when on the run with Anita, and is a place where guests comes to stay, seduced by the enchanting Sant’Angelo in Vado, an ancient town where all is to be discovered. It is a place where one leaves feeling inspired by its strategic setting in the heart of the hills and woods of Montefeltro, where lies one of the greatest food treasures of the area: the white truffle. 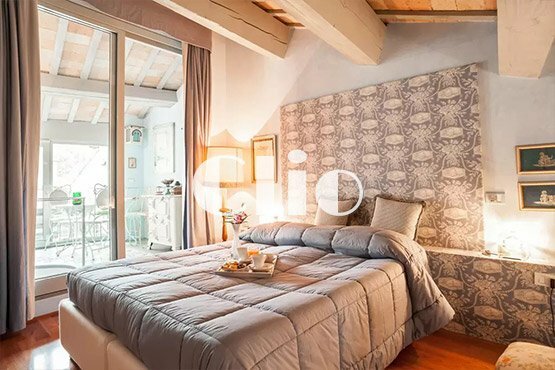 We have pledged to bring together rural tourism and cultural tourism, offering accommodation in a 1500 renovated building with furnishings from the Renaissance, and at the same time providing information about its natural and artistic surroundings. We offer the chance to be accompanied to local food tastings as well as to nearby riding schools to visit the nature parks by trekking or on horseback. The façade of the front entrance has maintained its period design, while the entrance hall has been transformed into a beautiful reception and welcome area for guests. 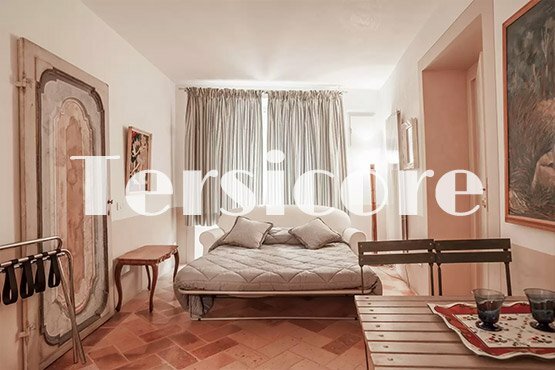 The regular presence of the owners, with their up-to-date and passionate knowledge about the area, makes Palazzo Santinelli all the more charming and reliable. We offer a wonderful terrace with a panoramic view, and a large lounge with an armchair to meet other guests, used also as an area for recreational activities such as yoga, dance, exhibitions and other initiatives aimed at enriching your stay. There is also a welcoming kitchen to have breakfast and take part in fun cookery lessons held regularly with local chefs.